The electric cars are among the finest match to save fuel. They significantly run over the electric energy rather than the fossil fuel. And they tend to save a good amount of money that you had saved for the fueling. But not every electric car is enough acknowledgeable to save something better. At times they appear to be a burden, something like you have to feed an elephant. Well, we know a lot of cars that were produced as the gasoline, hybrid or the hydrogen fuel vehicles. But the electric car classification attracted the manufacturers so much that they jumped into it with all they had. While some already planned to produce the alt-fuel cars. They mainly focused on the so-called green earth ideology. And the Honda Clarity Electric is some kind of similar derivative. Until the autumn of 2017, Honda was going on with just the Clarity fuel-cell and the Plug-in Hybrid. Though the Electric was planned to be launched alongside the hybrid edition. But due to some certain reasons, the electric version got delayed. Finally, by the end of 2017, the Clarity Electric was introduced into the market. Soon after coming out the Clarity got some decent acknowledgment. But that is much for the sake of publicity. Further, the Clarity Electric is available for as low as $36,600. And the financing begins from $199 per month. So far, it is doing so good. But it is certain, that the other Japanese automakers, especially the Toyota would certainly come up to compete for this car. Away from that, the American market is expected to get some good boost in this class for the upcoming years. And surely that could give a hard time to Clarity. The Clarity is not a different kind of electric vehicle. But it is a bit bigger level version. 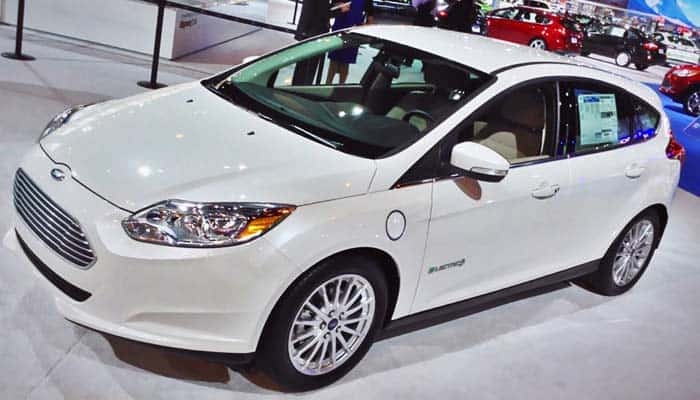 Though the American made electric cars have the far better range and mileage. While Clarity lacks that altogether. Still, Honda is making its electric ends meet with this car. 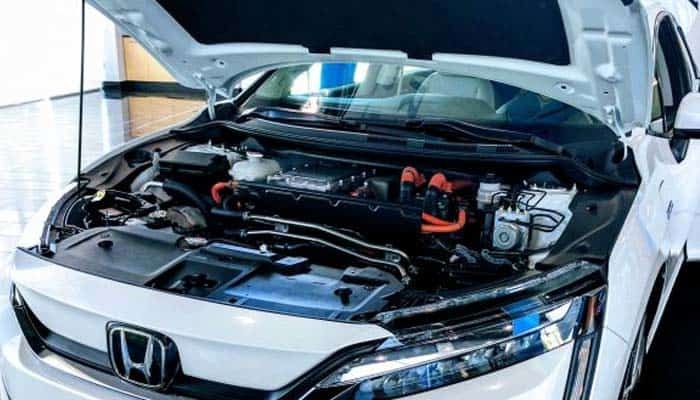 Well, the Honda Clarity Electric comes with the 120 kW electric motor that produces 161 hp of power at 221 lb-ft of torque. Certainly, that is a pretty decent performance rating. And even the Clarity Electric is pretty good at performance. This is one of those cars in which Honda has cast away the CVT and the CVT transmission system. Here it gets a Single Speed Direct transmission system with three shift levels. Ahead of that, the Clarity Electric gets 25.5 kWh Lithium-ion battery. It occupies a massive space for the allocation in this car. And even give a good lump to the total weight of this car. Well, as per Honda, it takes around 3.1 hours to charge this car at Level-2. And the 6.6 kW charger is deemed to charge 17% of battery in half hour. Sound good, but the practicality lacks a bit. The EPA rated 89 miles as the finest electric drive range of the Honda Clarity Electric. But in our tests, we managed to jump till 83 miles with 97 mph as the combined e-fuel mileage. 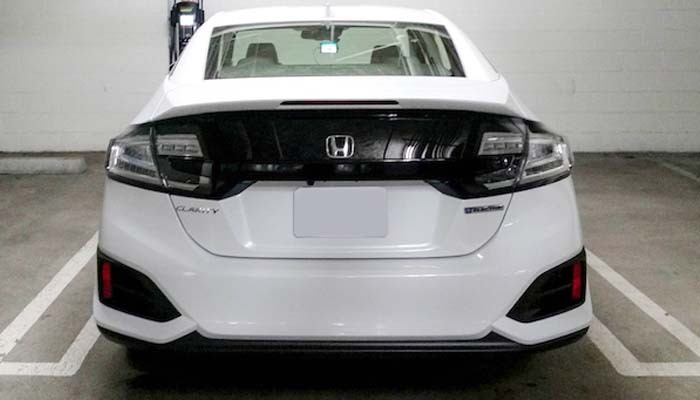 The Honda has blessed Clarity with some cool styling. It does not feel like an alien ship or an over styled sedan. Instead, it is pretty much balanced. 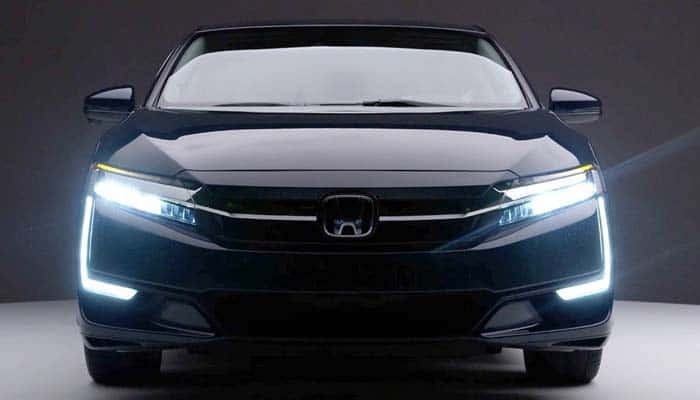 Well, the Clarity extracts its design from the Accord and Civic. The styling includes LED lamps, 18-inch alloy wheels and a decent application of the aerodynamics. Further, the Clarity has been designed as a fastback with a slanting trunk. Ahead of that, this car weighs over 4,000 lbs. That is mainly because of the bigger battery and a massive electric motor. While the exterior material contributes 70% to the weight of the car. The interior designing is just fine. Though it is modern it is not much different than the other cars from Honda. Well, the ingredients include leather, suede, and the fiber trims. Further, the Clarity is pretty spacious inside. The front row, as usual, has nothing to complain about. In addition to that, the rear row even offers a sufficient space to sit. Well, this setup is good enough for an everyday ride. In the rear, you get sufficient amount of space for the cargo. There is up to 14.3 cubic feet of space available. Further, the Clarity Electric include plenty of convenient spots within the car. Like the glove box, cup holder, and the smartphone shelter. 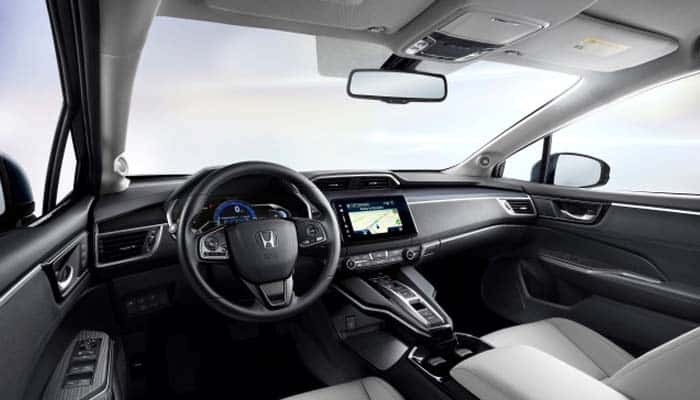 The Honda Clarity Electric features the 8-inch touchscreen infotainment system. This system is purely designed for the multimedia and entertainment. And it features the Apple CarPlay and the Android Auto. 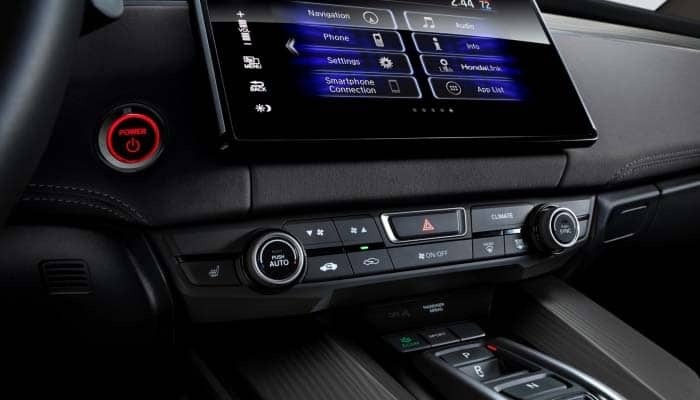 Further, the Sirius XM Radio, HD Radio, Bluetooth streaming and Pandora utility are also available. Well, a pretty useful kind of navigation is available in the Clarity Electric. It features the voice recognition and the HD traffic display. The Clarity Electric is equipped with a handful of passive and active safety features. There are plenty of airbags in almost every corner of this car. And the seats get the 3-point seatbelts with automatic tensioning. The active safety includes the stability, cruise control, ABS, EBD and plenty of other features. It is not hard to find a competition for an electric car. As the electric vehicles are increasing day by day. Well, the Clarity Electric got a match with the Ford Focus Electric. The Focus ranks a bit higher than the Clarity. Though it is a hatchback, with shorter performance traits and fewer features. But its equitable electric drive range and decent price make it get a better market response. 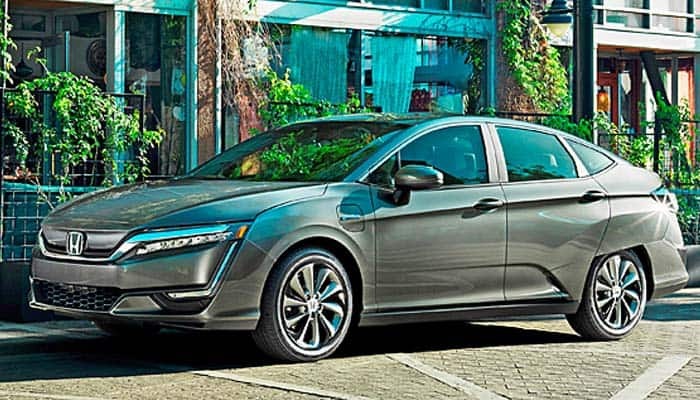 Well, this is the first year for the Honda Clarity Electric. And it has a lot of work to do now to build up a strong market reception.